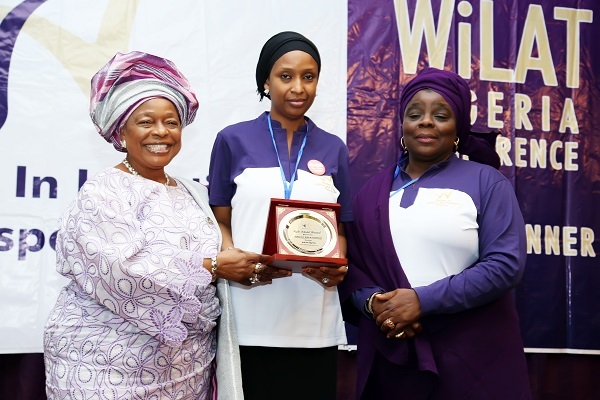 The Managing Director of the Nigerian Ports Authority (NPA) Hadiza Bala Usman (Middle) receives an award from Iyalode of Yoruba Land, Chief Alaba Oluwaseun Lawson (left), Port Manager, Lagos Ports Complex (LPC) and Founder/Global Convener and Chairperson WILAT Nigeria, Hajia Aisha Ali-Ibrahim (right) at the 5th Women in Logistics and Transport (WiLAT) Confrence held in Lagos yesterday. 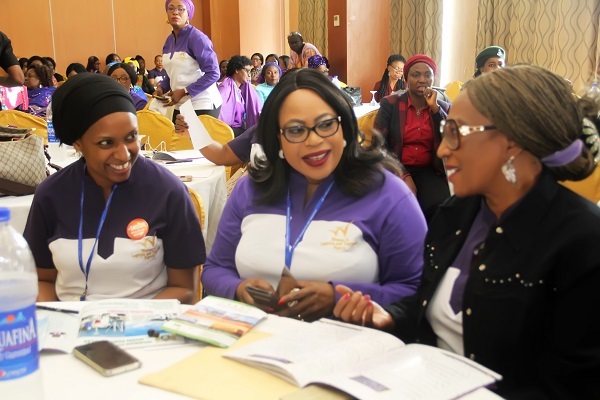 The Managing Director of the Nigerian Ports Authority (NPA) Hadiza Bala Usman (left), CEO/MD ENL Consotium, Princess Vicky Haastrup, (Middle), and Former Honourable Minister of Transport Dr. (AMB.) Mrs. Kema Chikwe (right) at the 5th Women in Logistics and Transport (WiLAT) Conference held in Lagos yesterday. 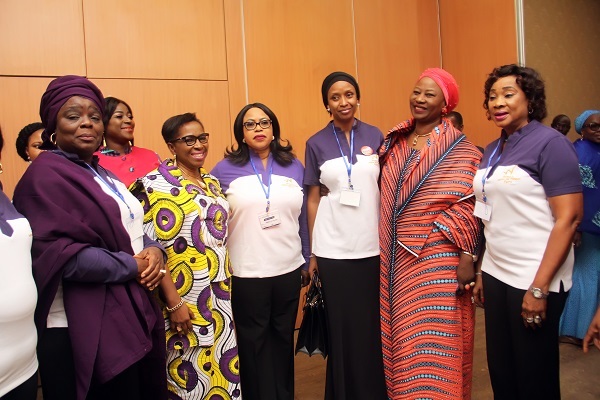 The Managing Director of the Nigerian Ports Authority (NPA) Hadiza Bala Usman (3rd from right) with other dignitaries and Stakeholders at the 5th Women in Logistics and Transport (WiLAT) Conference held in Lagos yesterday.